In this episode of About Risk, we welcome back Katie Leonberger, CEO of Community Resource Exchange in New York City. 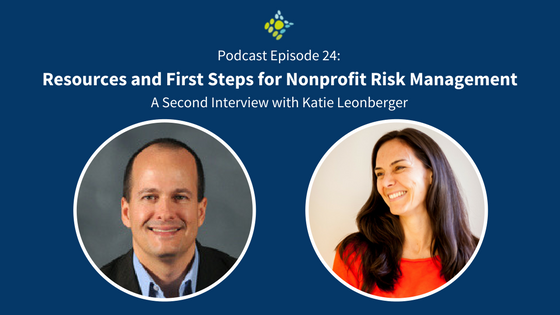 We explore with Katie broader issues about what nonprofits should do to begin implementing risk management, where they should look for resources and support, and what she sees as key nonprofit risks. Katie can be found online @KatieLeonberger. CRE is on Twitter as @creinnyc. To find out more about CREFT, you can email CREFT@crenyc.org.